The ill treatment of detained lawyer Malek Adly is considered to be part of the “persistent harassment that was ordered against him by sovereign authorities”, according to his wife Asmaa Aly and lawyers. They have repeatedly demanded that Adly be granted his rights, which should be guaranteed by state prison regulations. Adly has reportedly been kept at length in solitary confinement and has been deprived of basic rights, such as food, medication, clothing, and regular exercise. As Adly completes 80 days in solitary confinement, according to his wife Aly, a solidarity campaign under the slogan of “supporting the detainees of the land” kicked off Sunday with a conference at the headquarters of the Egyptian Social Democratic party (ESDP). At the conference, the party’s former secretary general, lawyer Ahmed Fawzy, said that the response to their demands to improve Adly’s conditions in detention from some officials was that “some state authorities were upset with Adly’s [posts] on Facebook, and have ordered his punishment”. 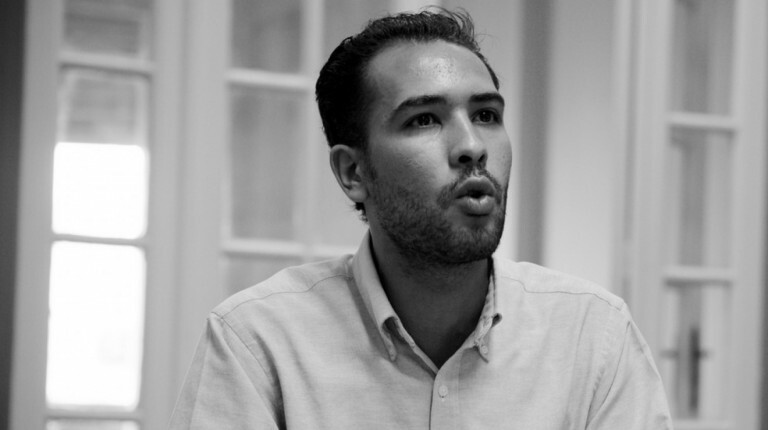 Adly, a young rights defender, was detained earlier in May on accusations of inciting people to protest, publishing false news, and attempting to overthrow the regime. “Adly is being prosecuted because he is an icon of the 25 January Revolution,” ESDP’s vice president Bassem Kamel stated during Sunday’s conference. “Thousands are being unjustly held for the same reason. National projects cannot be the sole form of development in this country, without justice coming first,” he added. 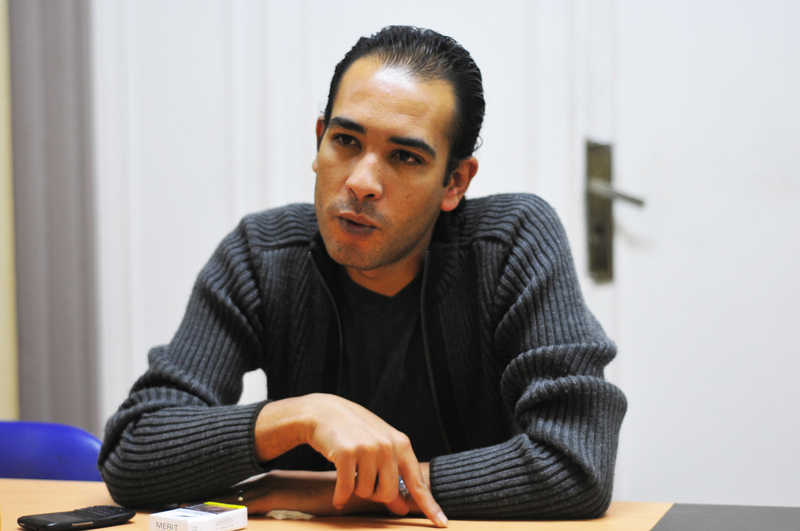 Moreover, Adly’s detention sheds light on the deteriorating conditions in prison for detainees. “Imagine a 2×3-metre cell, with no ventilation, no furniture whatsoever, and he never sees the light outside unless I am going to visit him,” said his wife Aly. Journalist and former spokesperson of Al-Dostour party Khaled Dawood delineated a few rights guaranteed by prison regulations, such as the right to obtain a bed in exchange for a fee. “How can it be that in 2016, Aly’s struggle is getting her husband a bed in jail?” he said at the conference. Prominent lawyer Khaled Ali was also among the speakers and said he has officially filed complaints to the prosecution authorities and Ministry of Interior to immediately end Adly’s detention in solitary. The solidarity campaign is hosted by different political parties this week, which will be highlighting a few known detainees to symbolise their cause. The “detainees of the land” are some hundred young activists, party members, and citizens who were detained between 15 and 25 April against the backdrop of protests that erupted against the signing of a border demarcation agreement with Saudi Arabia, also known as the Red Sea islands case. “This issue does not only concern the islands—our campaign is about human rights, the right to freedom of expression, the right to humane treatment of prisoners, the respect of the principle that a suspect is innocent until proven guilty,” ESDP’s president Farid Zahran told Daily News Egypt in an interview shortly before the press conference. “The case of Adly is illustrative of all prisoners of conscience,” Zahran said. Zahran elaborated on the state’s usual narrative, in particular the one pushed forward by security authorities which relies on undermining politics and human rights under the pretext of fighting terrorism. “This is not a trait particular to the current regime, but rather all Egyptian administrations since 1952. The concept is that democracy is a postponed project, until the war for national security interests is over,” he argued. Other activists detained in similar conditions include Haitham Mohamadeen, Hamdy Qeshta, and Zizo Abdo, whose detention has been renewed every 15 days.